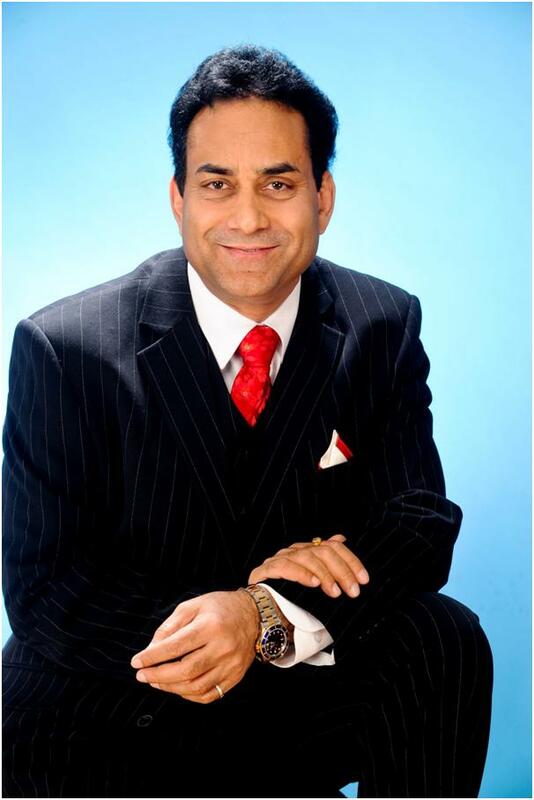 Dr. Malik Style: Corporate,author Dr Malik is a distinguished, high-profile and well known Solicitor. He holds BA, LLB, MSc and three MAs and a Doctorate. He also qualified as a Barrister in Law and as a Solicitor of the Senior Courts of England & Wales and as a Journalist (The London School of Journalism). Dr Malik worked as a journalist for several years. His outstanding legal career spans a period of over 20 years and he has worked in different areas of law including Human Rights, Immigration and Commercial law. Currently he is the CEO of a prestigious and leading Human Rights and Immigration Law Firm, in London. He is an established author and has published titles in the field of law, business and self-help. 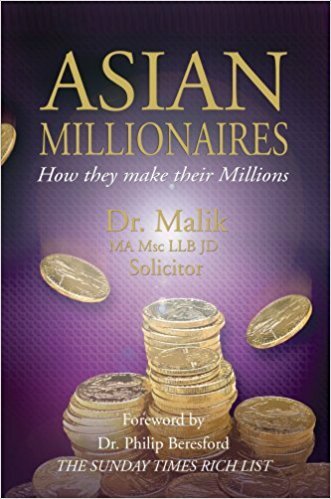 Dr Malik is the author of several best-selling books on the subjects of law and business. He has advised over 20,000 individuals during his legal career and has appeared on numerous TV and Radio shows, where he as advised on legal issues. Dr Malik is also CEO of a leading Human Rights and Immigration law firm. Currently he appears on several weekly shows on SKY where he continues to advise on legal issues. You will need a strategy; a workable plan. 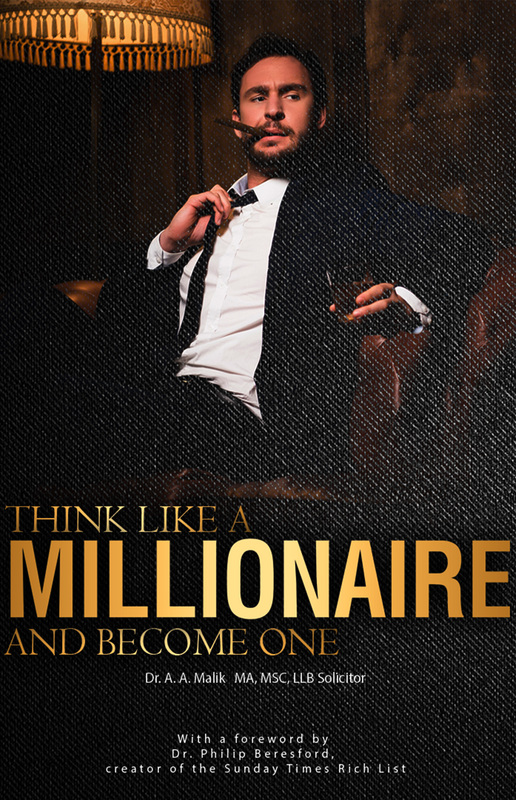 There are several key ingredients that a self-made millionaire needs and I shall reveal some of the most useful tips in this book. If you follow my ‘tips’ and advice diligently, I am certain that you will be­come rich. This is not a pipe dream – you can make it a reali­ty. 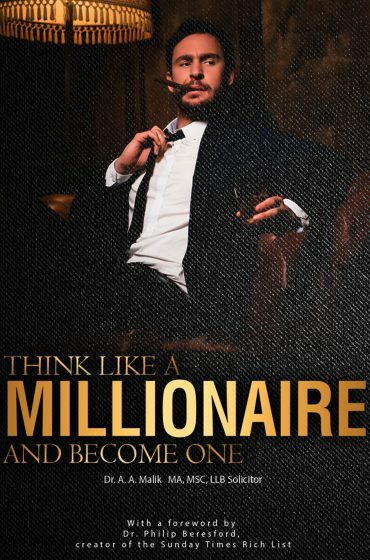 Think like a Millionaire and become one by:	Dr Malik £2.99 The previous edition of this book called Top Tips to Become a Millionaire was a huge success as well as his notable book, Asian Millionaires and how they make their money , also published by DirectMillion. Due to public demand this new edition has been published to accommodate new and further ideas and has been extensively revised to include lots of useful ideas, tips and new techniques – to help you generate wealth and help you make money. The book has already received extensive praise and good feedback.
" You don’t have to be born with a silver spoon to make money. 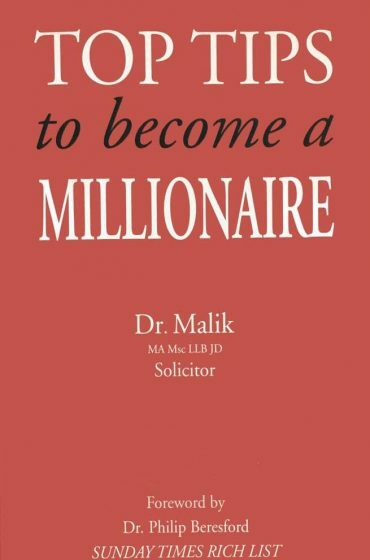 In this book Dr Malik shows you how to get on the road to making millions. This is a great book to help you start making money. It's user friendly and written in very easy to understand language. " " This is a fascinating, enjoyable and unparalleled book, which I found particularly exciting. The book is inspirational. Dr Malik provides comprehensive answers to several questions and has been given top tips. He explains everything in a simple and easy to understand manner. " " The book is compact, well produced and inspirational. Dr Malik explains everything in simple easy to follow language. Importantly he reveals the secrets of how you too can start acting, thinking and becoming rich. The book, suffice to say, is most informative, shows you how to think and act positively, keep hold of your money.Identify money making projects and you don’t even need vast amount to start with. This is the ultimate book to help you start taking control of your life. This is a valuable resource for everyone and absolutely essential for anyone who wants to succeed in life. " " l leave you to read Dr Malik’s clear tips on a step by step guide on how to really succeed on the path to entrepreneurial success. " " Dr Malik’s book confirmed many of the principles that underlie wealth building and being successful. This is an excellent and perfect book, jam packed with plenty of top tips, written in simple and easy to understand language and highly recommended for everyone who is serious about making money keeping it. The definitive guide to becoming rich and understanding that you too can make money work for you and your family. "